Dr. Kai Kaye from Ocean Clinic Marbella and Dra. 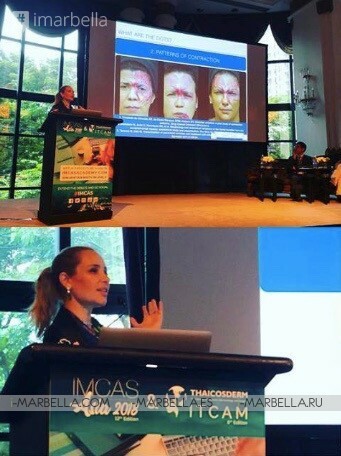 Gabriela Casabona from (BeautyBeyondSkin.com) were part of the International Master Course on Aging Science (IMCAS) 2018 giving out lectures and sharing scientific knowledge between Jul 13 - 15, 2018 at The Athenee Hotel, a Luxury Collection Hotel, Bangkok, Thailand. 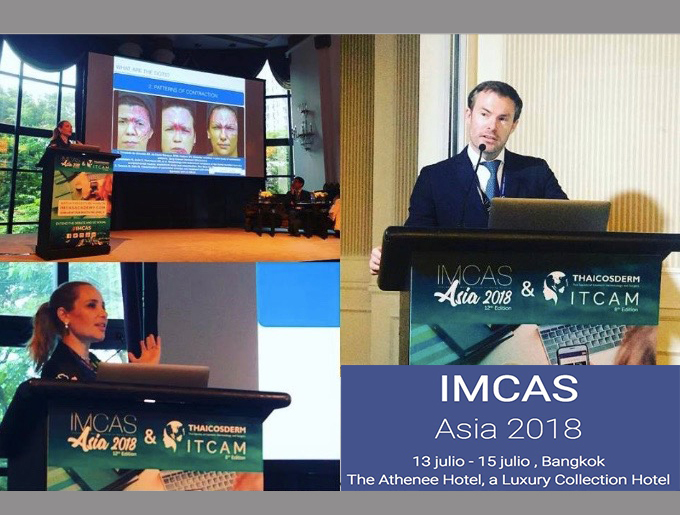 Dr. Kai Kaye and Gabriela Casabona assisted for three days IMCAS Bangkok 2018 where they shared and held six-session chairs and contributed to eleven lectures to the outstanding educational event in Bangkok. 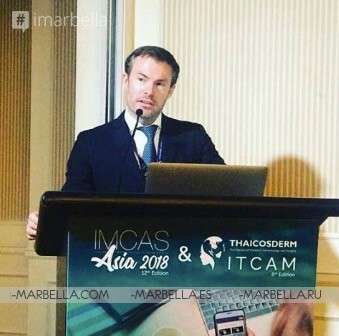 During its 12th edition, IMCAS Asia received around 1500 attendees, 70 exhibiting companies, 80 expert speakers and 130 scientific sessions. The science congress was held in the Athenee Hotel, one of the most elegant and luxurious locations in Bangkok. Situated on the former Kandhavas Palace in downtown Bangkok, this centrally located, 5-star hotel is ideal for exploring the city. The target audience for this medical event was plastic surgeons, dermatologists, and aesthetic practitioners. The city of Bangkok is a dream setting for both the learning and socializing that IMCAS congresses are renowned for. IMCAS Asia is also the perfect place to discover the newest products on the market. Stroll through the exhibition hall and attend symposia to learn more about the innovations and developments from 70 different exhibiting companies.